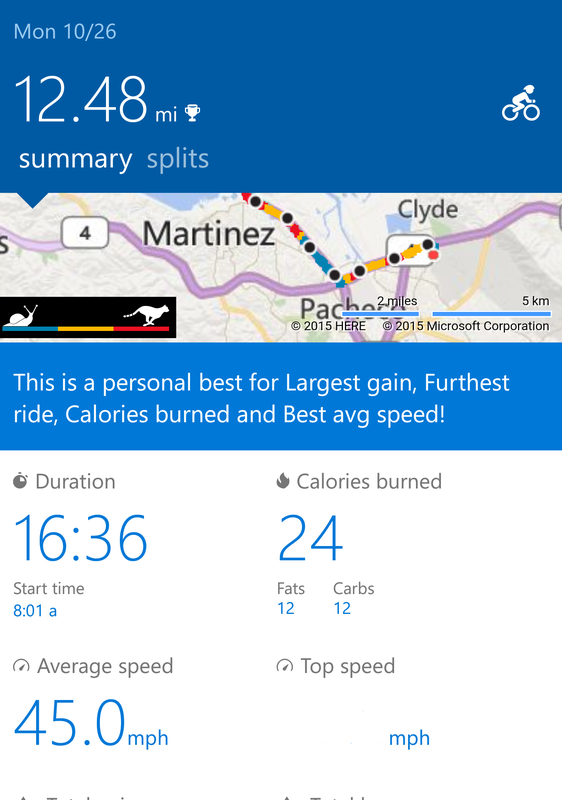 What the Microsoft Band 2 smartwatch does, it does very well. But buyers wanting to download apps and other games are out of luck. After reviewing the Microsoft Band 2, I’d dub it the Microsoft Zune of wearables: a proudly specialized device that hasn’t yet realized that it’s on the wrong side of history. Microsoft clearly took care in designing the sleek, curved interface of its new Band 2 smartwatch. But in the past year, Apple launched the Apple Watch, and Google’s partners iterated on their Android Wear devices. They’re all competent wearables by themselves. But one of their key selling points are apps, thousands of apps, and Microsoft’s Band 2 platform simply can’t compete. Today, you can buy the Microsoft Band 2 for $250—$50 more than the original Band, but at the low end of Android Wear smartwatches and well below the cheapest Apple Watch. Microsoft makes every effort to justify that price, rolling up what it added to the original Band—golf and cycling apps, a tiny keyboard, and more—plus a more comfortable fit, a new barometric sensor, and some other tweaks. Three things hold the Band 2 back, however: along with the lack of apps, there’s a slightly awkward form factor, and a user interface that lacks the graphical appeal of its competition. If you buy the Band 2, you’ll have to content yourself with what Microsoft offers: a well-thought-out, yet ultimately limited experience. Because the Band 2 is so heavily text-centric in the way it displays information, I found only one effective way of wearing it: with the display over the inside of the wrist, like you’re Spider-Man, ready to fire your web-slingers. 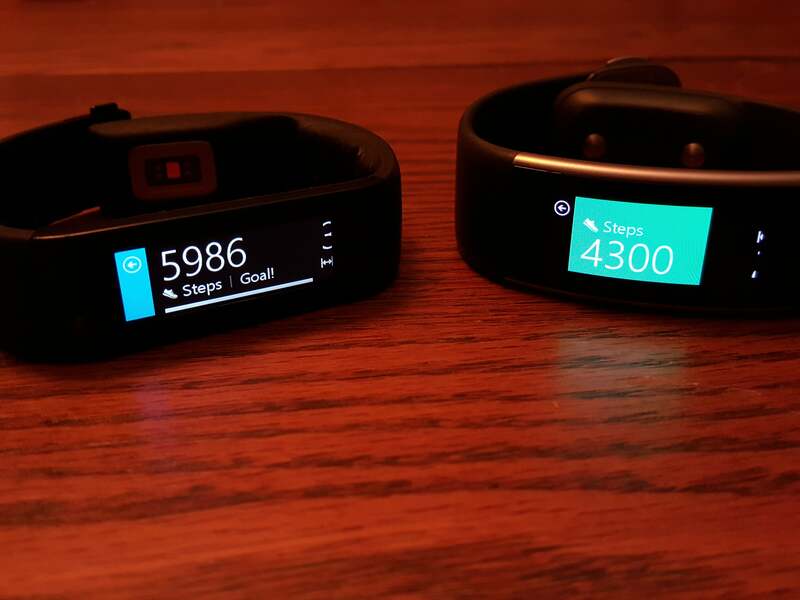 The Microsoft Band 2 (left) and the original Band. The curved display fits it a bit more snugly to your wrist. But the Band 2 is lovely to look at. Its 0.5-by-1-inch display is an AMOLED touchscreen with a slightly higher resolution than before (320x128 pixels, compared to 320x106 in the original version). An upgraded CPU pushes smoother, slicker transitions across the screen. Finally, as you can see, it’s curved. I never minded the “shoulders” that the Band 1’s flat display created, but it’s admittedly more comfortable to wear this time around. Aesthetically, the Band 2 looks lovely, with a “thermal plastic elastomer silicone vulcanite”—think rubber—strap gripping your wrist, accented by metal on the clasp and display. I will say that the previous Band triggered some sort of a smoldering allergic reaction that manifested itself over time, while the Band 2 hasn’t in the two weeks or so I’ve been using it. Moving some of the battery to the Band 2 clasp (right) enlarged it, but not to the point of discomfort. Be wary, though, if you’re upgrading: Microsoft has resized the Band 2, so that a “medium” size that previously fit comfortably clasped about midway around my wrist now barely fits when tightened to its maximum. The clasp, which now houses the ultraviolet sensor, is a bit clunky but otherwise acceptable. My medium Band 2 weighs 2.08 ounces, a little lighter than the 2.15-ounce Band. The Band 2 isn’t waterproof, but water-resistant. I haven’t had the guts to test it in the shower, although a quick splash won’t fry it. I also found the display to be a tad dim in direct sunlight, even with the auto-adjusting brightness enabled. Microsoft rates the Band 2 at about two days of battery life. By disabling the GPS function, mine lasted about two and a half days. As before, you’ll probably keep topping up the charge during your morning rituals, rather than charging it overnight, like your phone. 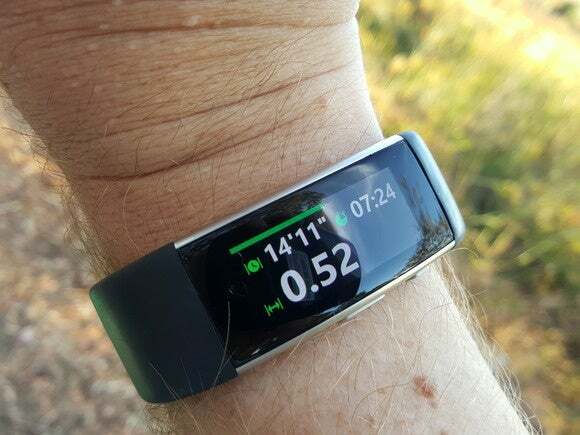 A year back, I wrote a detailed analysis of what it is like to live with the Microsoft Band; much of that holds true today. What separates the Apple Watch, Android Wear, and Microsoft Band wearables from devices like a Fitbit is that Microsoft designed the Band to be equally useful alternating between work and play. Practically speaking, what this means is the Band 2 can function well enough alone, but really demands a phone (Android, iOS, or Windows) to be in range and connected via Bluetooth. Windows 10 Mobile will be supported. 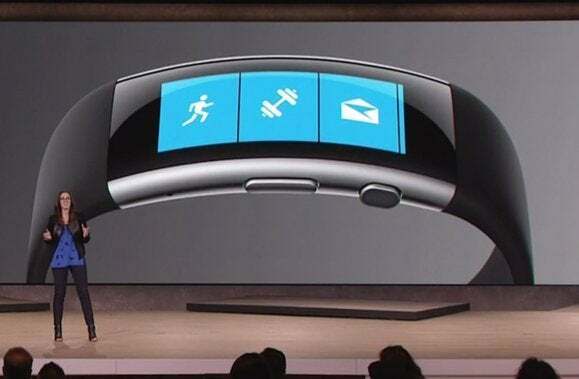 A Band 2 user connected to a Windows Phone 8.1 Update phone can also use the Cortana digital assistant simply by pressing and holding the black oblong action button on the side of the Band 2, and there’s a Cortana tile as well. (Oddly, I never received an answer to a spoken question on my Band 2 itself; Cortana launched on my Lumia phone and displayed the answer there.) The Health app can also push OS updates to the Band via Bluetooth. The Health app goes far beyond just health-related info in the case of the Golf app, tracking your scorecard (and sensing your strokes as you swing the club) and presenting distance diagrams of individual holes. 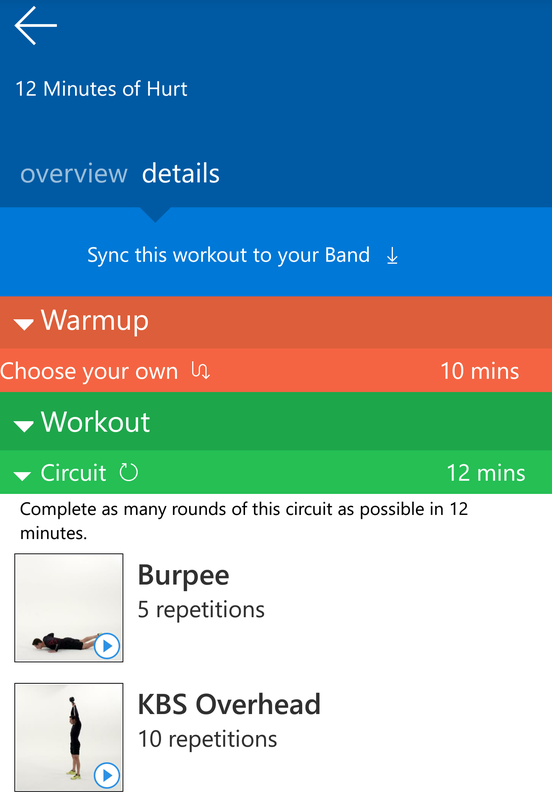 Microsoft Bands use Windows 8-like tiles that sit in for apps, allowing 13 out of what is presently 19 tiles to be on the Band at any one time: Messaging, Mail, Calls, Calendar, Guided Workouts, a Starbucks app, Run, Bike, Twitter, Facebook, and more. You may have to make a few hard choices about which tiles to include, and you’ll want to dive into the configuration options for apps like Run and the Windows 10-like Notifications app, which will squirt updates at you for every little thing. Keep in mind that although the tile icons are graphics, most of the Band seems very text-centric. 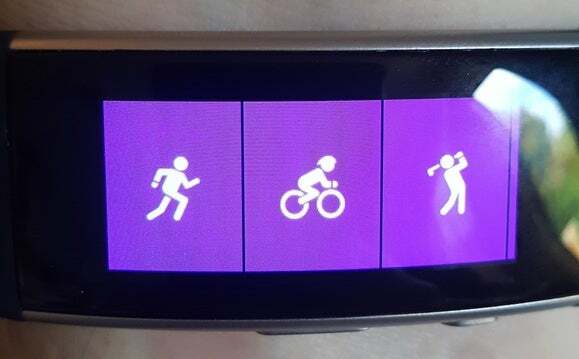 Band 2 “apps” appear as tiles on the glossy screen; here are the Run, Bike, and Golf apps. Because there’s no speaker on the Band, notifications and alarm alerts are all done via vibration—which you may or may not notice, unless you jack up the haptic feedback control all the way. And no, you still can’t store and listen to music from your Band, unlike other smartwatches. The Band 2 makes every effort to be your office assistant, but it’s still a bit hit-and-miss. For one thing, don’t expect to be able to read your email on the Band; the Mail app will give you little more than subject lines or a quick cascade of single words that fill the entire display. Don’t expect to be able to see photos that a friend posted to a Facebook feed; the Band is primarily text-only. 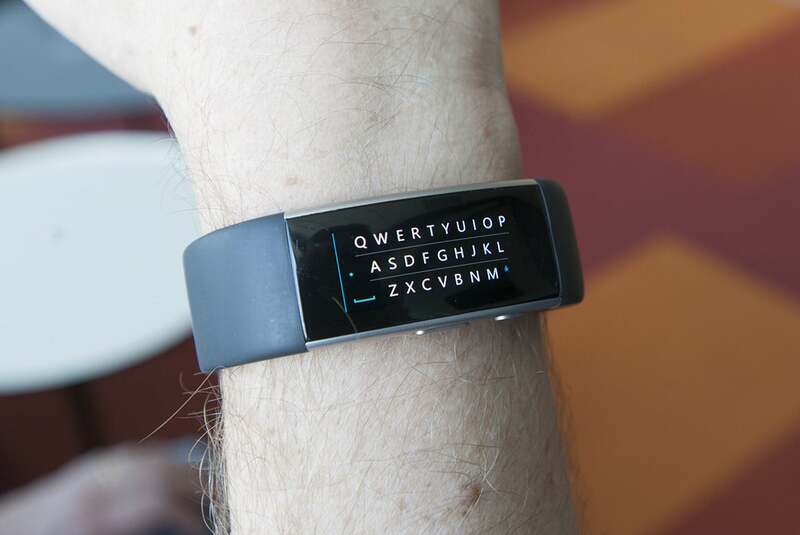 The keyboard on the Band 2 is pretty mediocre, although it does a decent job of word prediction. You can respond to texts via a teeny keyboard that uses Microsoft’s Word Flow technology to predict your response. It works well until it doesn’t, when you have to pick through your reply. (Women with long nails may have a more difficult time.) In many instances, it’s just easier to pull out your phone. Inside the Band 2, Microsoft packed many of the same sensors that it shipped inside the original Band: a gyrometer, ambient light sensor, an optical heart rate sensor, a 3-axis accelerometer, an ultraviolet light sensor, a skin temperature sensor, a capacitive sensor, and a galvanic skin response sensor. All told, that means that the Band is constantly measuring your heart rate and estimating the calories you’ve burned. A new barometric sensor can now count how high you’ve climbed in terms of flights of stairs. The Band 2 also includes a GPS sensor, like the first Band—still a relative rarity in wearables, and an effective way of estimating how far you’ve jogged or biked. 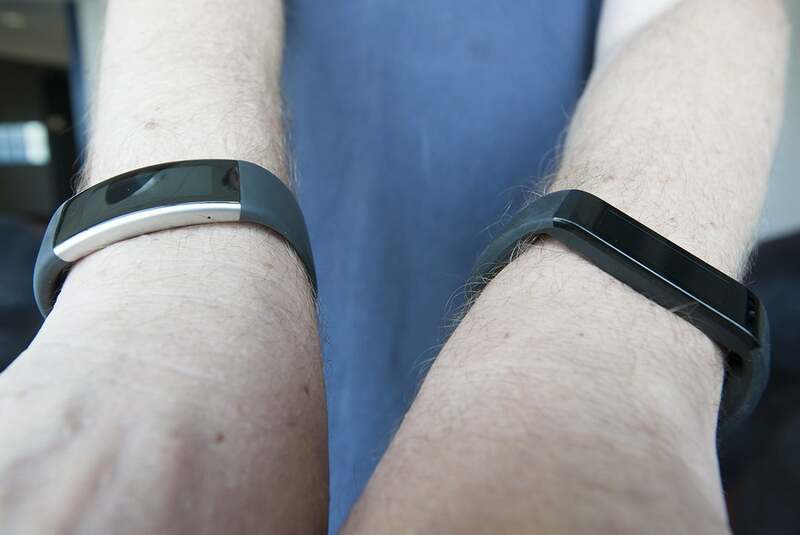 The Band 2 also uses a slide-down “drawer” that provides even more information than what’s shown here. 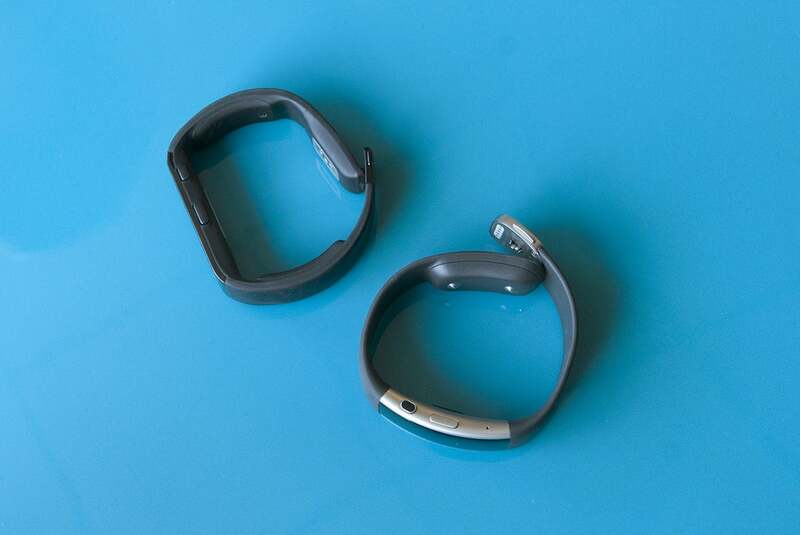 That’s one of the real strengths of the Band 2: its analytic capabilities, especially with regards to fitness. Other fitness bands and smartwatches encourage you simply to “exercise” for a given amount of time. The Band 2 feels more like a workout partner. 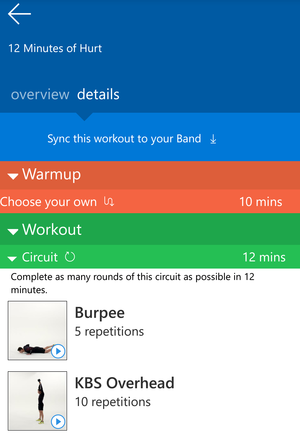 If you’d like, you can choose from a number of pre-configured workouts and download them to your Band 2. Microsoft doesn’t (ever?) encourage you to visit its Microsoft Health Web site. But you should. (Log in, then go to “Your dashboard.”) There, you can compare all sorts of metrics to an anonymized sample of people with your height and weight, age and gender.Did that one-mile run actually contribute to your cardiovascular health? Microsoft will tell you. With enough exercise under your belt, the Band 2 and Microsoft will measure your ability to use oxygen with exercise (VO2). Both the Band 1 and Band 2 also include a Sleep tile that tracks your light and deep sleep, the times you woke up, and more. I find it oddly fascinating. 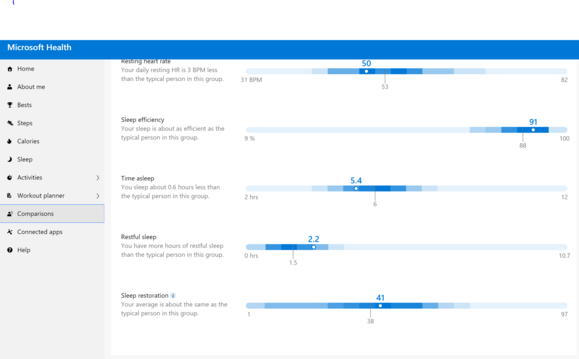 There’s a wealth of comparative data on Microsoft’s health dashboard. As you can see, I’m into high-intensity sleep. For fun, I also keyed the first-generation Band to my seven-year-old son’s height and weight and left the Band 2 tied to my profile, then ran a mile or so. The Band 1 reported a distance of 1.50 miles, while the Band 2 said I had run 1.05 miles. I’ve also experienced mornings where I’ve rolled out of bed, gone downstairs, had breakfast, wandered around—and the Band 2 still reported that I had taken 0 steps. Here’s the secret, though: With GPS enabled, the Band 2’s ability to measure distance seems perfectly accurate, both on a run as well as several “cycling” expeditions in my car. My takeaway: Exercise with the GPS enabled, but take your step count with a large grain of salt. Same day, widely varying results with both the Band 1 and Band 2. But using different hands, if that makes a difference. As with the first-generation Band, you can pre-select a Guided Workout through the Health app or site that matches your needs, then sync it to your Band—it will tell you what exercise to do and how long to do it, and the phone app even includes videos that display the proper form. The workouts tend to emphasize the sort of Tabata-style Crossfit type of exercise where you’re doing a lot in a short amount of time. There are even some “golf” exercises that emphasize flexibility, while “cycling” exercises would be more suited to a spin class, and the actual Bike app tracks your distance via GPS as you ride. If you’re just hauling furniture and want to see how much you’re burning off, just trigger the generic Exercise app. It’s just when all that’s done, and you’re sitting late at night fiddling with your Band by the light of the TV, you begin to wonder: What else can you do with the Band 2? The answer: there is no ‘else.’ As before, the Band 2 integrates Facebook and Twitter, plus a kind of nifty Starbucks app—all of which were in the first-generation Band. An Uber app is coming. 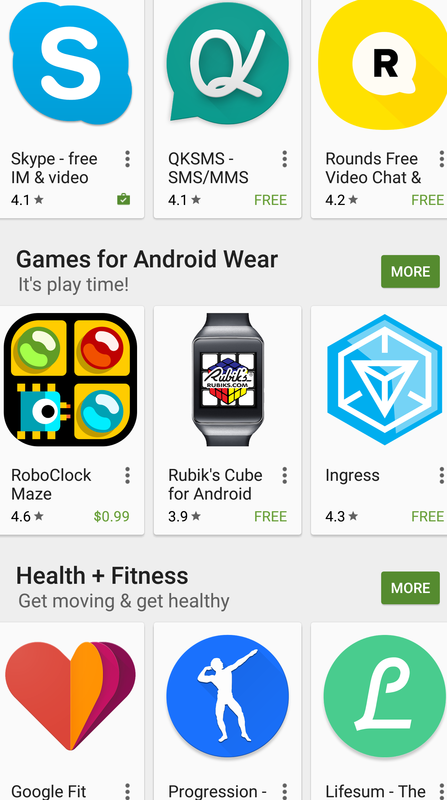 But the Apple App Store launched with 1,000 apps, and Google boasts 4,000 apps for Android Wear as well. Microsoft has 32 third-party Band apps—and some of them simply tweak the Band’s built-in functions. 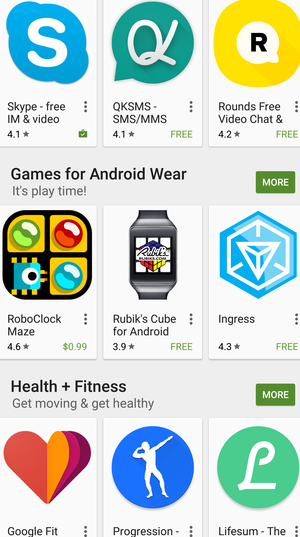 Just some of the apps that you can download for Android Wear devices. You’re going to have to decide how important that is for you. 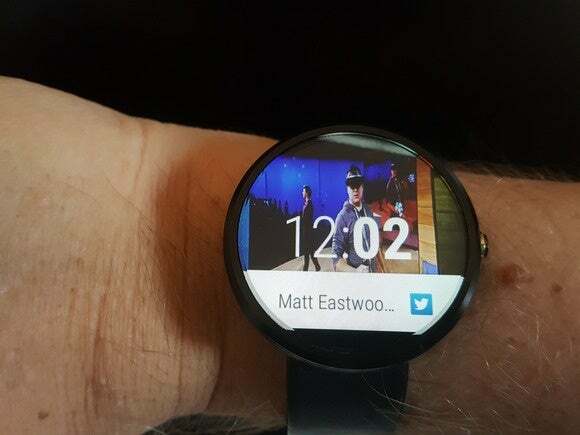 Our Android site, Greenbot, compiled a list of some pretty nifty Android Wear apps for 2014. Then there’s the ten Apple Watch games MacWorld UK is excited about. The Band 2 offers Pong. Hurray. OK, so you can’t play Tetris on your Band. But those other platforms are using apps to horn in on the Band’s productivity message, too. It’s telling that some of the best apps on those other platforms are Microsoft apps: Outlook, Wunderlist, OneDrive, OneNote, and more. The OneDrive app for Android, for example, allows you to cycle through your recent photos and use them as your watch face. Mint is available for the Apple Watch, but it’s no longer available for Windows Phone. All in all, there’s a sense that app developers are treating the Band like they’re treating the Lumia phone: as a dead end. Both the Apple Watch and Android Wear have persuaded me that the Band 2 is doubling down on what is ultimately a losing bet. To assist this review, I asked Greenbot to borrow a Motorola Moto360, which I placed on one wrist, with the Band 2 on the other. You may sacrifice some battery life for the colorful displays of other watches, but they have a sense of fun the Microsoft Band 2 lacks. I enjoy looking at the Moto360 more than the Band 2. I can wear it more naturally; the colorful display lights up when I twist my wrist to look at it. Information simply flows better down the circular display. But the Moto360’s battery life is considerably worse, and the native fitness apps default to monitoring my heart rate, steps, and little else. Why not split the difference? I wouldn’t mind seeing Microsoft complement its sensor package and analytics with a circular display in the Band 3. The bottom line: as the Zune did, I think the Band 2 will attract a small camp of devotees. But they’ll be looked at askance by mainstream users, who won’t be able to fathom a world in which they can’t use the latest apps. Both sides will be completely convinced they made the right choice. 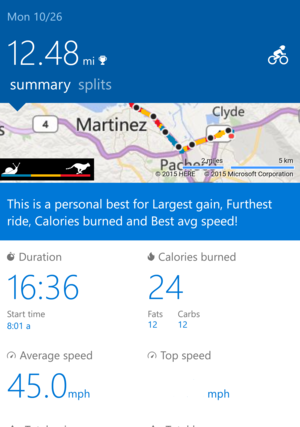 The Microsoft Band excels at tracking your home and work life, and analyzing how to make it more productive. But its lack of apps ultimately prove disappointing.